Wilmington, DE – Young Conaway is pleased to announce that Norman M. Powell has begun a three year term as Content Officer of the American Bar Association’s Business Law Section. As Content Officer, Mr. Powell will oversee the development and distribution of substantive intellectual work-product including articles, papers, model agreements, checklists, presentations, books, CLE webinars, and other educational programs and accompanying materials for the nearly 50,000 member Section. Mr. Powell is a partner in the Delaware law firm of Young Conaway Stargatt & Taylor, LLP, where he provides guidance and renders legal opinions regarding security interests and all aspects of the laws governing Delaware entities in both domestic and international transactions. 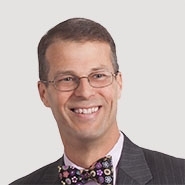 He has held leadership positions in the American Bar Association and its Business Law Section for more than a decade and is an officer of the American College of Commercial Finance Lawyers. As an elected member of the American Law Institute and an advisor to the Permanent Editorial Board on the UCC, Mr. Powell participates in various drafting committees.